Murfreesboro, TN -- One of an elite group of highly charged down-home old-time and bluegrass music and dance competitions, the 35th Annual Uncle Dave Macon Days festival is set to kick off July 13-15th, at Cannonsburgh Village in historic Murfreesboro, Tennessee. The celebration includes the two award honors of outstanding recognition -- the 2012 Heritage Award and the Trailblazer Award. 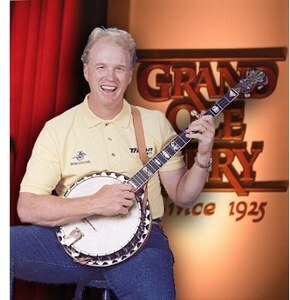 This year, Mike Snider will be presented the 2012 Heritage Award and bluegrass banjo legend, J.D. Crowe will receive the honored 2012 Trailblazer award. A purse of more than $15,000 is at stake during Friday and Saturday's Uncle Dave Macon Days competitions along with many other activities at the all-family event. The festival was established to honor the memory of Uncle Dave Macon who lived near Murfreesboro and is considered one of the first Grand Ole Opry superstars. A master banjo player and entertainer he performed up to the week of his death in 1952, and elected to the Country Music Hall of Fame in 1966. The Trailblazer Award is a recognition presented to those individuals who have blazed a path in traditional music or dance and, whose work has led the way for others to follow. J.D. Crowe certainly fits that description and more. J.D. is renowned for his unique presence and style as well as for the fluid way his playing progressed through not only bluegrass but other related styles as well. Banjoist J.D. Crowe was one of the most influential progressive bluegrass musicians of the '70s. Initially influenced by Earl Scruggs, as well as rock & roll and the blues, Crowe worked his way through several bands during the '60s, developing a distinctive instrumental style that melded country, bluegrass, rock, and blues. Crowe didn't receive national exposure until the early '70s when he formed the New South, but after the release of the band's eponymous debut in 1972 he became a fixture on the bluegrass scene for the next 20 years. Born and raised in Lexington, KY, Crowe picked up the banjo when he was 13 years old, inspired by one of Flatt & Scruggs' performances on the Kentucky Barn Dance. After that show, he regularly attended the duo's performances, sitting down in the front row to study Scruggs' revolutionary picking. Soon, Crowe was playing with various groups in Kentucky, including an outfit that also featured Curley Parker and Pee Wee Lambert. The young banjo player frequently played on local radio stations, and that is where he got his first major break in 1956. Jimmy Martin was driving through Lexington when he heard Crowe on the radio station, and was so impressed with what he heard that he drove to the station and asked him to join his band, the Sunny Mountain Boys. Crowe immediately accepted and began touring with Martin. While he was in the Sunny Mountain Boys, Crowe didn't stick to a strict bluegrass set list -- he often added rock & roll songs to his repertoire. Last year, Country Music Hall of Fame members The Delmore Brothers (Rabon and Alton Delmore) received the 2011 Trailblazer Award during the 34th annual Uncle Dave Macon Days Festival. The Heritage Award is an honor that is presented to an individual who has dedicated their lives to the promotion and preservation of traditional southern music. Mike Snider has certainly done that for as long as he's been in the business. A frequent guest on the Grand Ole Opry and influential in historic circles, his humor helps us to remember the stories about the music. Mike certainly follows in the footsteps of those before him. Last year, David Holt received the Heritage Award. Holt easily met the criteria. 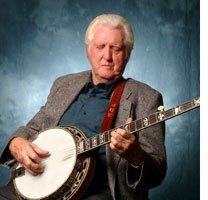 For more than 40 years, with banjo in hand, he has taken the music and stories of the Appalachian Mountains around the world. Multi-talented, he is a musician, storyteller, author, historian, television and radio host, educator and folklorist. Mike Snider, who was born and lives in Gleason, Tennessee, made his way on the country music scene in the 1980's with his incomparable wit and stellar banjo playing. Mike first worked his way into people's hearts through his hundreds of spots on TNN's Nashville Now, and his seven-year stay in the cornfield on "Hee Haw", a syndicated television show. In addition to his television work, Mike and his band entertained crowds for seven years at Nashville's Opryland USA. A favorite festival for old-time, bluegrass and acoustic music, Uncle Dave Macon Days attracts fans from all across the country where they can be entertained by the finest music. Featuring the festival, contests, awards, scholarships, dance exhibitions, and many varied activities, the festival is one of the finest for family entertainment. Visit www.uncledavemacondays.com for tickets and who will be playing this year.